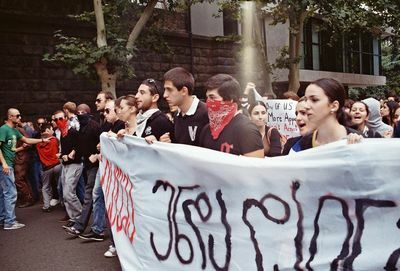 Georgian students organized ongoing protests against torture in prisons of Georgia. 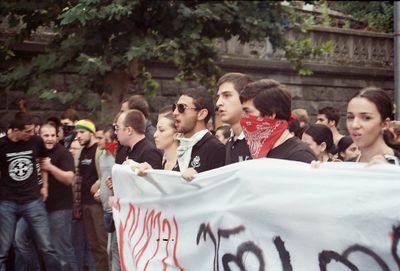 They gather at the Tbilisi State University and go marching to the State Chancellery of Georgia. 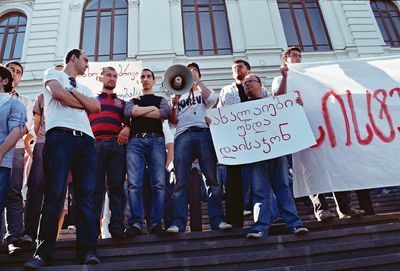 A few days prior, Georgian TV stations released video footage of Georgian prisoners being abused. 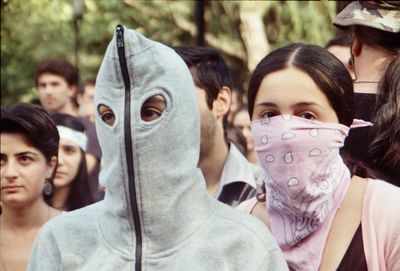 Since that day protests are being carried out across the country due to this event. 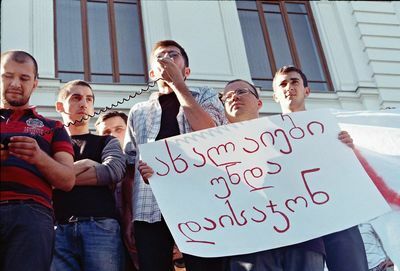 After those protests two ministers of the Georgian government resigned. 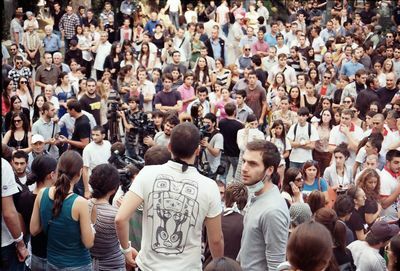 Tbilisi State University, Tbilisi, Georgia.